2019 is all about your existential journey and how you cultivate relationships with others around you. It gets a little more in-depth from here. According to the Enneagram system, no one consists of one personality type. Typically, you are one basic personality type and one of the types adjacent on the Enneagram circumference. This is known as a "wing." For example, I am a 9w1. My basic personality type is 9, The Peacemaker, but I have tendencies of a type 1, The Reformer. Within each type, there are Levels of Development and Directions of Growth and Stress. 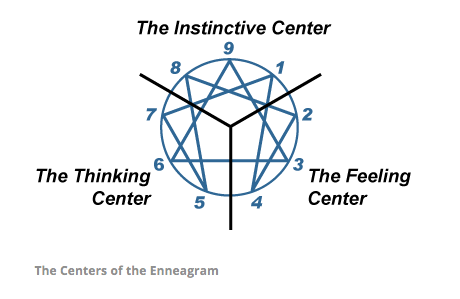 Although the Enneagram seems very complex, once you read through it a time or two, you understand it pretty thoroughly. There are books, podcasts, social media sites, and The Enneagram Institute website to utilize for your own personal research and self-awareness journey. My interest was piqued when a friend of mine asked me, "What is your Enneagram number?" one day while we were at work. I told her that I took the online test and it calculated that I was a Type 2 (The Helper) which did not seem right to me. She then explained how the online test isn't completely accurate and that the best way to determine your Enneagram was to research and sort of figure it out on your own. I mentioned I did a brief reading through each of the types and kind of thought I would be a Type 9, The Peacemaker. My friend, who is a fellow Type 9, agreed with my opinion and began to inform me of every aspect of the Enneagram. From there, I developed an intrigue and did lots of extensive research before finalizing that I am a 9w1 on the Enneagram. Researching and self-reflecting were tedious at times. We don't always like to come to terms with our flaws and shortcomings, which are both listed for each personality type. In the end, though, I swallowed my pride and devoted my time to become more self-aware. It is important to research and know your strengths and weaknesses so you can channel those toward self-improvement. For instance, I had no idea my indifferent mentality on things (i.e. what restaurant to go to for dinner) stemmed from my desire for peace among everyone until I read about it through the Enneagram. Once I knew and understood that I realized it is true; I want to make sure everyone is happy which means sometimes I put other's needs above my own. This process occurred for me across several aspects of my personality, and it will for you as well, if you choose to embark on an Enneagram journey. In my opinion, the Enneagram is the most accurate personality construct because it allows you to research, learn, and grow, instead of populating a response to a series of questions. If you put in the time and have the right mindset to research your Enneagram, I promise you will reap the benefits and become more aware of yourself and your interactions with others.